Link Wray's legacy lies in the power chord that inspired such luminaries as Pete Townshend, Bob Dylan, Neil Young, Ray Davies, Jeff Beck and Jimi Hendrix. Ground-breaking hits (Rumble, Raw-Hide, Jack The Ripper and Ace of Spades) make a welcome return in Wray's second coming in the 1970s. Wray's incendiary distortion and unorthodox techniques gave way to the Sonics, Wailers and The Cramps, iconic names that owe much to their idol. Wray's resurgence in the 1970s invited new listeners and made new fans across Europe and the USA where he continued to 'rumble' in his unique and immaculate style. 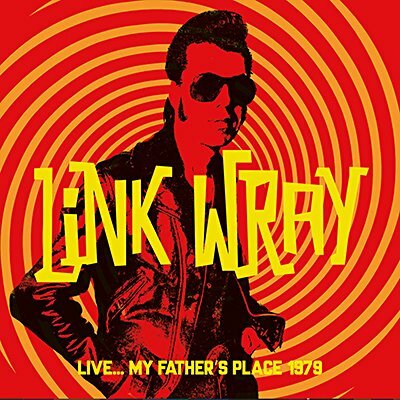 Klondike proudly presents the entire WLIR-FM broadcast of Link Wray, live from My Father's Place, Roslyn, NY on 22nd June 1979. Professionally re-mastered original FM broadcast with expansive liners and rare archival photos.